Blackish-brown body with white head, neck and tail and yellow feet and beak. Juveniles are a mix of brown and white. Along coasts and on lakes and rivers. Throughout most of North America, mainly in Alaska and Canada. Fish, small mammals and carrion. Up to 28 years in the wild. Females lay 1-3 eggs, which are incubated by both the male and the female for 35 days. Hatchlings remain in the nest for up to 20 weeks. Eagles reach maturity at 4-5 years of age, at which time they obtain their white head feathers. 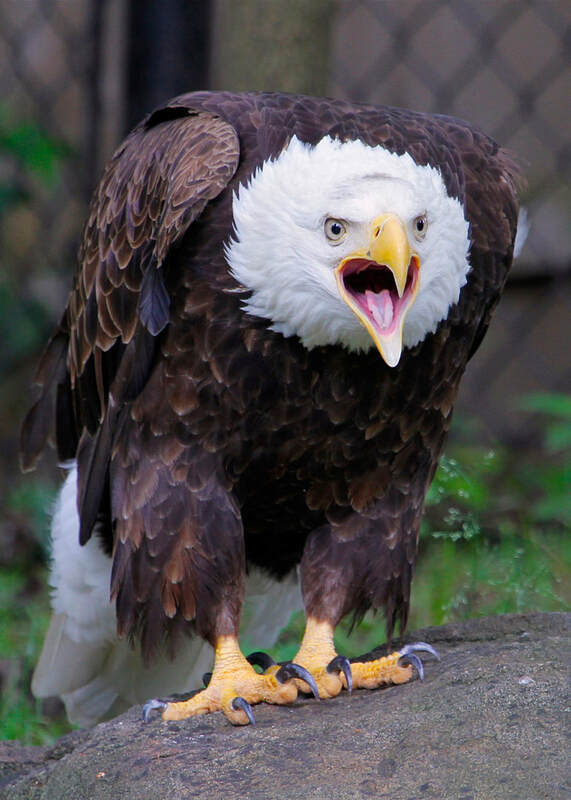 The Bald Eagle, the national symbol of the United States, was almost wiped out entirely throughout the country. Hunting and DDT poisoning threatened the species, and it was not until strict pesticide guidelines were enforced and it became illegal to hunt this bird that the Bald Eagle population began to increase. Bald Eagles use their talons to catch fish, and therefore tend to live near water sources such as lakes and rivers. They will also scavenge carrion, steal other animals’ kils, and catch small mammals. 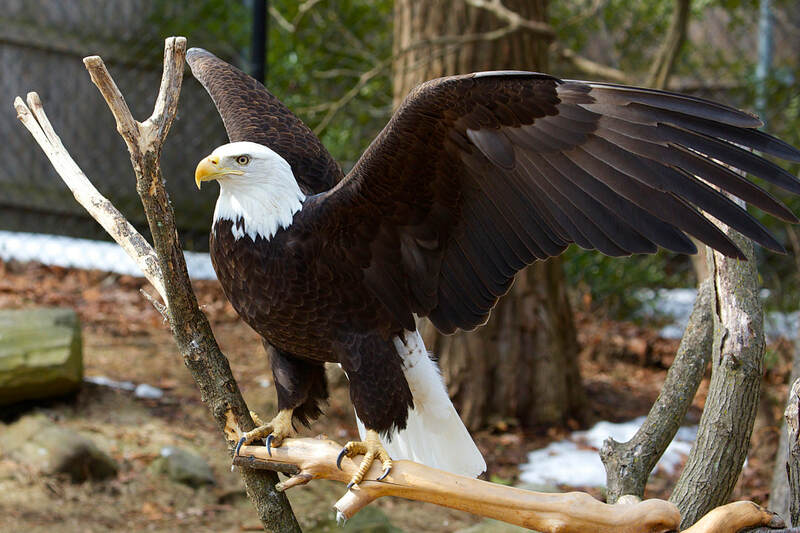 Bald Eagles are believed to mate for life, and build enormous nests for the pair of eggs they will lay each year. Come see our new Eagle Exhibit located in Alligator Alley, across from the tigers.